Rasana is a good magazine – I subscribe and look forward to reading it each month. 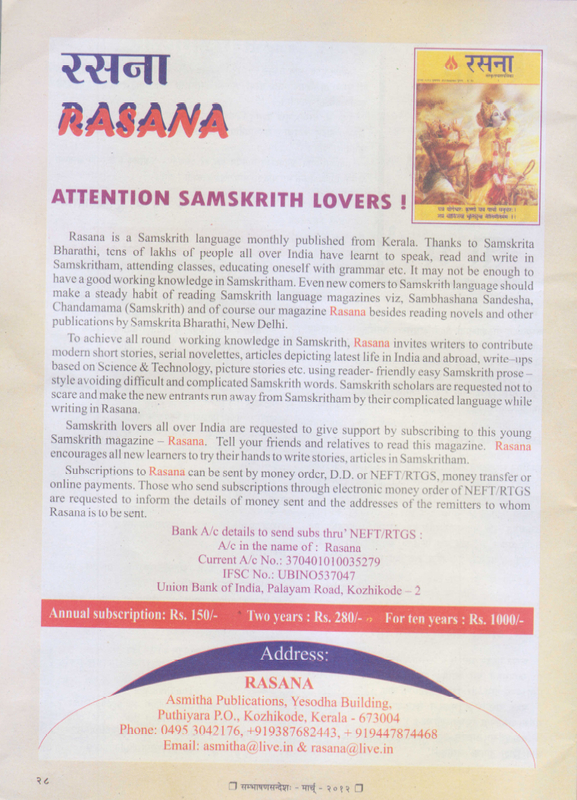 I have made a list of all known Sanskrit newspapers and magazines here http://venetiaansell.wordpress.com/2012/02/27/sanskrit-newspapers-and-periodicals/. If anyone has any more information, please do send it to me so I can update the list.